Food Fit for a Queen? 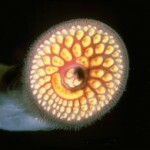 The invasive Sea Lamprey. What good is it? Well, apparently the Queen of England has found a use for them. She is going to eat them! An invasive pest, or food fit for a Queen? Sea Lamprey’s are protected in England, so a shipment of the eel-like creatures were requested to be used in a pie for June’s Diamond Jubilee, the 60th anniversary of the Queen’s ascent to the throne. Two pounds of frozen lamprey from Lake Huron were shipped to England, and it is planned to officially present the Lamprey pie on May 4. 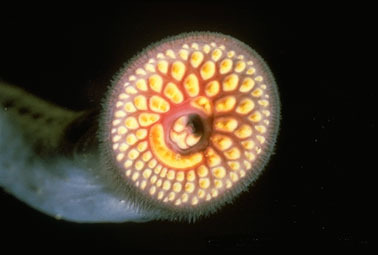 Sea Lampreys entered the Great Lakes from the Atlantic Ocean due to shipping in the 1920s and have been a threat to the Great Lakes fish since then.